Cathryn Shilling graduated in graphic design from Central School of Art and Design. She worked as a designer until 2001 when she moved to the USA, where she studied stained glass. 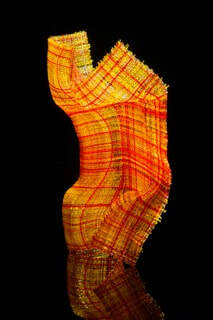 Returning to London in 2004, she began studying and working with kiln-formed glass, as well as blown glass. In January 2010, she joined London Glassblowing Gallery as Curator and Exhibition Coordinator. Her work is held in public and private collections and has been widely exhibited internationally throughout Europe, Japan and USA. She exhibited at the British Glass Biennale in 2010, 2012, 2015 and 2017 and has twice exhibited as a finalist in the Emerge juried kiln-glass exhibition at Bullseye Projects, Portland, Oregon USA. In 2009, Shilling was the winner in the glass category of the V&A’s Inspired By… competition. In 2013, she won the international Warm Glass Artists Prize. And In 2017, her collaborative piece with Anthony Scala, won the Craft&Design Award at the Biennale. In 2015, she was named ‘number 4’ in the Glassation list of ‘The Most Game Changing Female Glass Artists’ and number 25 in the Graphic Design Hub’s list of ‘The 30 Most Amazing Glass Artists Alive Today’. Her work was represented in New Glass Review.